Homepage Feature HP Category Reviewing America’s Retail Bankruptcies: What Can We Learn from the Slew of Recent Retail Failures? Reviewing America’s Retail Bankruptcies: What Can We Learn from the Slew of Recent Retail Failures? This report discusses notable US retail bankruptcies in 2017-2018 and examines key factors that led retailers to collapse. Following a large number of bankruptcy filings in 2017, retail failures continued apace in 2018. Several well-known retailers filed for bankruptcy across the two years, including Sears Holdings and Mattress Firm. 2018 witnessed the liquidation of Toys “R” Us and Bon-Ton Stores. 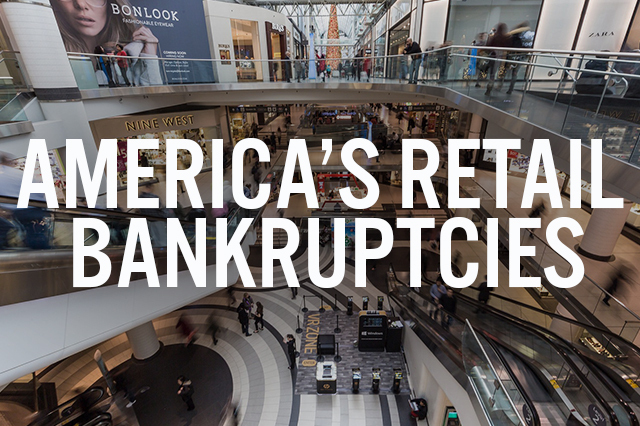 Major factors that led to retail bankruptcies include: Saturation of US physical retail space, changing consumer trends, a declining US middle-class population, burgeoning e-commerce sales and rising debt among retail companies. According to a 2019 BDO survey, 52% of US retail executives believe bankruptcies will rise in 2019, while 51% are preparing for an economic downturn. So far in 2019, seven major retailers (with more than $50 million in liabilities) have filed for bankruptcy. Shopko will liquidate its assets and shut all its locations by June. These bankruptcy filings are occurring at a time of solid US retail growth: The National Retail Federation (NRF) forecasts US retail sales will grow by a solid 3.8-4.4% in 2019, though slower than the 4.3% seen in 2018, despite the possibility of an economic slowdown and the ongoing US-China trade tensions.